Backing up your phone contacts can be extremely useful, especially if you need to add the details to a database, or simply for your peace of mind. 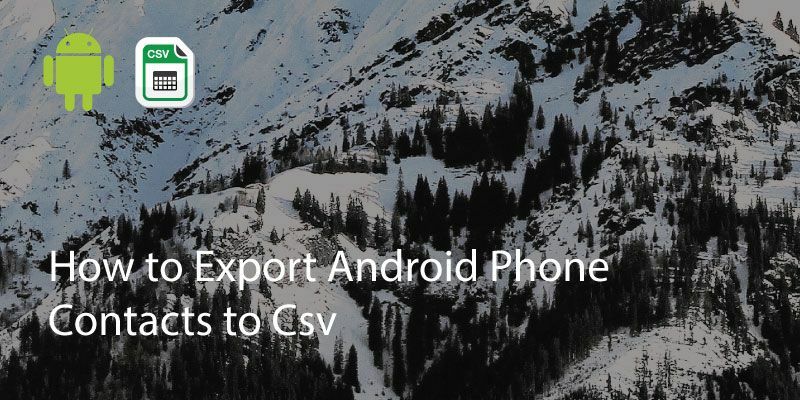 If you’re wondering how to export Android contacts to a .csv file, to use with Excel or import to Apple devices, don’t worry. It’s very straightforward. 3. 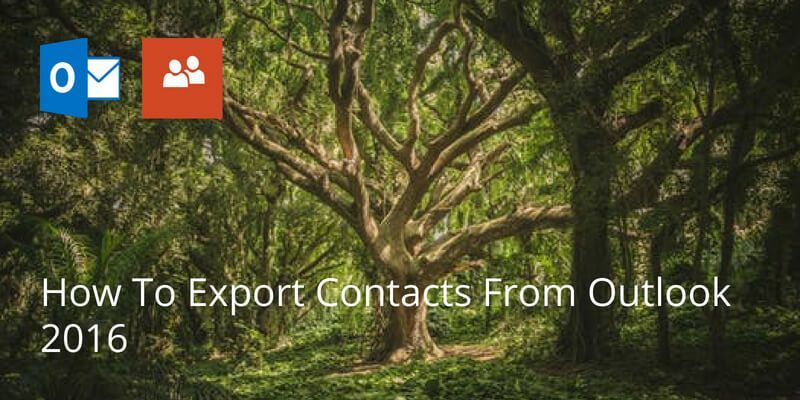 Go to Profile>Settings>Export contacts and click Request export. 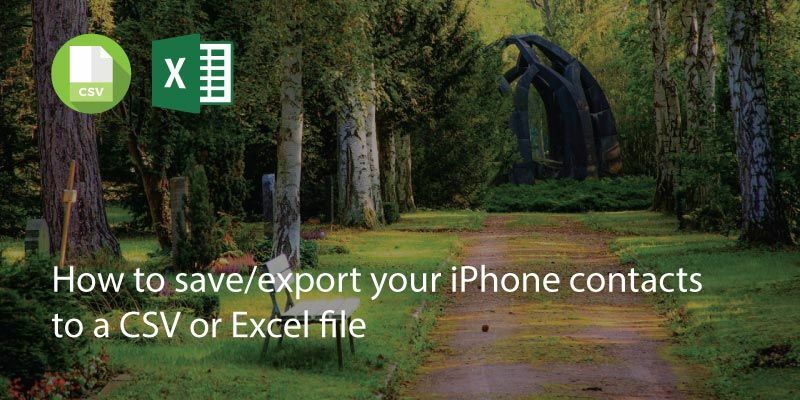 You will receive an email with your exported file after a few seconds, to use with Excel, keep a backup or import into another application. You can then repeat whenever you wish. 1. On a laptop or computer, open your preferred browser (Chrome, Firefox, Safari etc). 2. Go to Google.com and sign in the top right hand corner. 3. Next to your profile picture you will see a square made up of smaller 3×3 squares. Click on this. 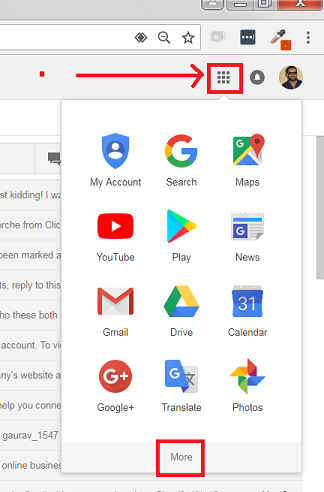 It will show all the available Google applications. 4. Click on show more. You should be able to see ‘contacts’. Select contacts. 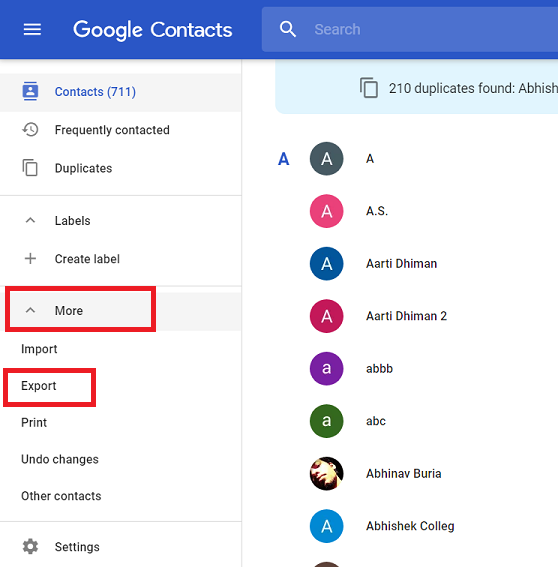 On Google’s current new version of Google Contacts you can’t actually export details. 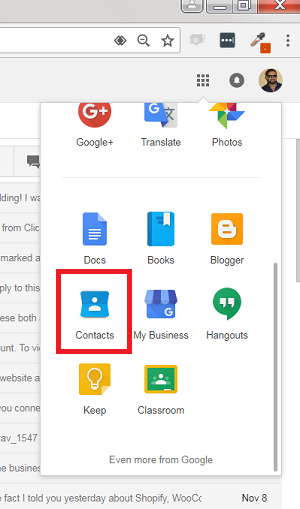 But, you can still go to the old version of Google contacts. 5. On the left hand side, above settings, click on ‘more’. You’ll see the option to ‘export. Click on it and when it asks if you’d like to go to the old version select yes. 6. 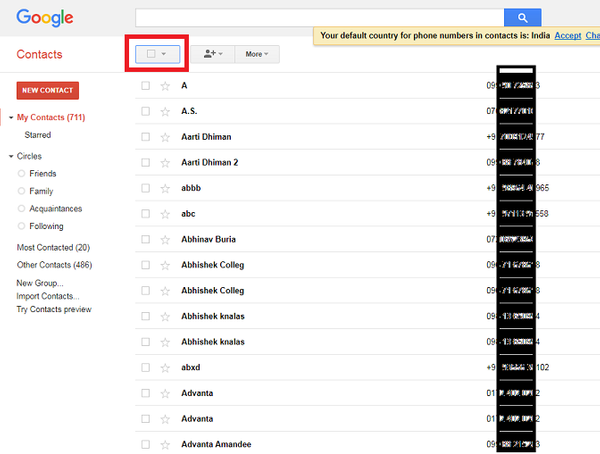 You should then see a list of your contacts with checkboxes. Select the ones you want to backup, or click the checkbox at the top to select all if you prefer. 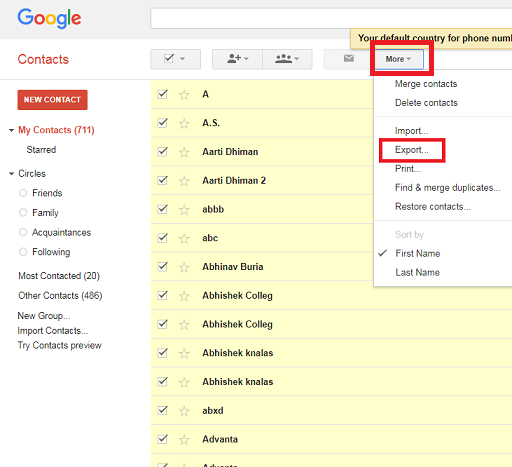 Once you have selected the contacts then click on the More icon at the top and Go to ‘Export’. 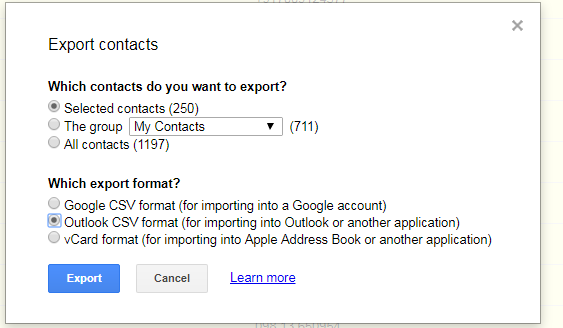 It will ask you if you want to export to a Google csv, Outlook csv or vCard. Select Outlook csv and click ‘Export’. The file should now be downloaded to your downloads folder for you to open in Excel or any other content management system (CMS). If you would like to edit contacts in the csv file you can find out how here. 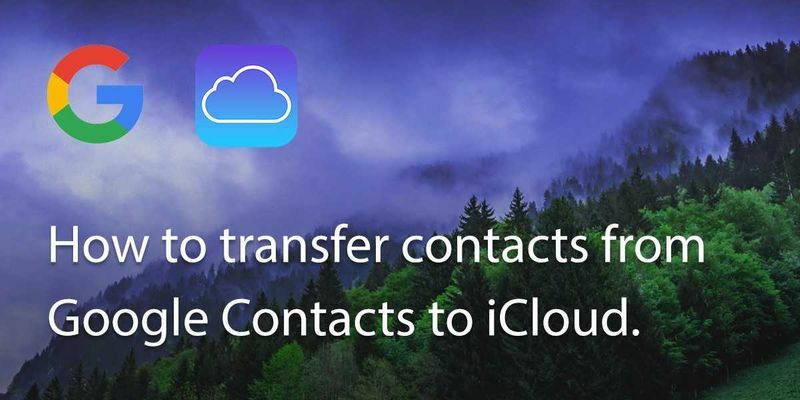 Bonus: To add pictures to your contacts you can use an app like Covve. Covve scans over 100 sources for publicly available info such as pictures, company, job and social profiles. 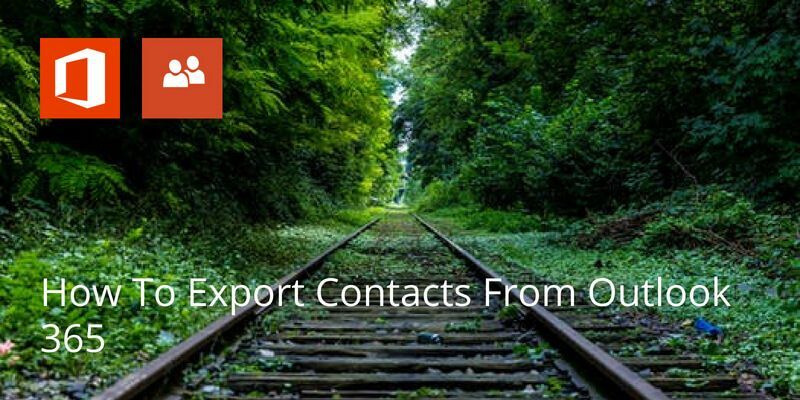 As long as your contacts have an email and there’s publicly available info for them, Covve will fetch it for you – find out more here. Written on 20 Feb 2018.